The lights of Chanuka have faded into darkness. The dreidel lies motionless in the glass-fronted cabinet in the living room. What have we taken with us from those Chanuka lights? Surely one of the most important lessons that we can learn from Chanuka is that we are capable of rising to great heights if we really believe in what we are doing. Even the might of an empire cannot stand in the way of someone who is prepared to give up his life for what he believes. About sixty years ago in a dark horse stable in Auschwitz, a handful of girls gathered around some hastily-prepared Chanuka candles. Soon the group grew in size, and the light spread over the entire barracks. In a few minutes several hundred Jewish women were singing the immortal song of contempt for all the tyrants of history: "Moaz Tzur Yeshuati…” After they had finished the song, they listened quietly to words of Torah filled with trust in the ultimate vindication of G-d’s actions. Who were the girls that organized that Chanuka in hell? They were pupils of a school in Tarnow founded by an unassuming seamstress named Sarah Shenirer. Sarah Shenirer was born in 1883 in Krakow, Poland, which was then part of the Austrian Empire. At that time there was no formal system of education for Jewish girls and Sarah was educated in a Polish public school. Sarah saw all around here the ravages of the so-called “Enlightenment” on the Jewish woman. Jewish girls were well versed in the latest in Polish poetry, but disdained their own traditions and religion. Yiddish was an embarrassment to them. A question in Yiddish would be answered in Polish. Sarah Shenirer saw a terrible lacking in the education of Jewish girls. Their brothers were shielded by their immersion in Torah, but for the girls, there was little or nothing to fend off the blandishments of secularism. Meanwhile, World War I broke out, and Sarah, together with a stream of refugees, left for Vienna. On Shabbat Chanuka, Sarah went to the Shtumper Street Synagogue and heard an address by Rabbi Dr. Plesh that summoned her to her life’s task. Rabbi Dr. Plesh spoke of Mattityahu and the Chashmonaim; of Chana and her seven sons; of Yehudit. A history of dedication and self-sacrifice. She returned to Krakowfull of enthusiasm. With nothing more than faith in G-d and a burning desire to serve Him as best she could, Sarah opened a school for little girls. She rented two rooms; one served as a”tailor shop,” where she “sewed clothes for the body,” and in the other she set up a new kind of “shop” where she began to “sew clothes for young souls.” Secular studies might beguile the mind, but only Torah and mitzvot can nourish the Jewish soul. She wrote to her brother, a Belzer Chassid living in Czechoslovakia, about her undertaking. At first he ridiculed her. However, when she insisted that nothing would stop her, he invited her to come to Marienbad. He wrote, “The Belzer Rebbe is here and we shall ask him.”She invested her last pennies in the trip. Her brother wrote a note to the Rebbe: “My sister wants to educate B’not Yisrael in the spirit of Judaism and Torah.” The Rebbe replied with two very important words: “Beracha Ve’hatzlachah!” (Blessing and Success!) Those two words gave her all the impetus she needed. And one might add that, at the time, this was the only help she received. Thus, with twenty-five children whom she had prevailed upon her customers to entrust to her, the Beth Jacob Movement was born. At first, Sarah’s school provoked contemptuous dismissal as the “undertaking of the seamstress.” However, the educational results of her new school very soon spoke for themselves. The parents of Sarah Shenirer’s pupils saw a new spirit in the hearts of their children. Sarah Shenirer’s pupils spoke differently from the pupils of the Polish schools. They did not speak with arrogance and defiance. They showed respect to their parents. They wanted to go to shul with their parents. They asked what beracha (blessing) to recite for this or that. They were keen to hear stories about the Tzaddikim and the pious. Sarah Shenirer almost single-handed revolutionized the education of a generation. And all this by a seamstress whose formal education ceased at the age of 13. When she passed away, more than 200 schools had been established attended by some 25,000 students all over Eastern and Central Europe. 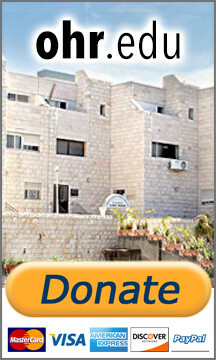 The Beit Yaakov network of schools has grown exponentially, and is today, the backbone of Torah education for girls. In truth, we possess enormous untapped resources. Every one of us is a gold mine that goes down to the depths, but we don’t see it. We see the virtues of others, but because we see ourselves from close up, sometimes we suffer from myopia when it comes to our own virtues. We must know that if we sincerely desire to do something, then, with the help of G-d, the sky’s the limit. Apart from our hidden resources, apart from the qualities that we possess and of which we are ignorant, we should always remember that G-d runs the world. If G-d decides that He wants us to achieve something, however far above our capabilities, we can raise ourselves above not only what we believe we can do, but even what we actually can do. Only G-d decides who gets into the big league.